Kate Middleton stuns in a sari inspired gown at Bollywood themed gala. A Royal Adventure: Stunning Pictures From Prince William and Kate's Tour Of India and Bhutan. 2. Kate Middleton stuns in a sari inspired gown at Bollywood themed gala. 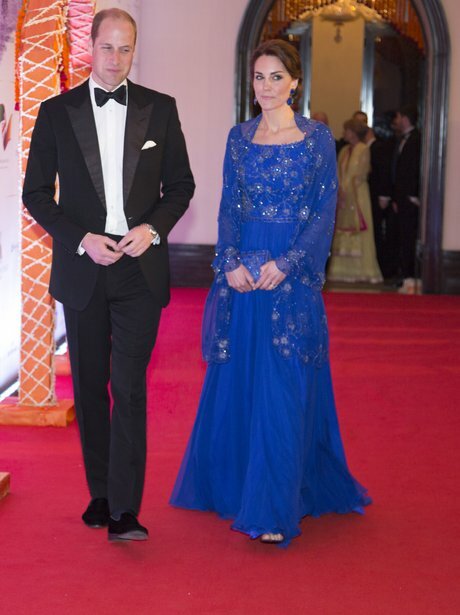 Kate and William got dressed up to the nines to meet Bollywood superstars at a gala dinner held at the Taj Mahal Palace Hotel, with Kate looking exceptionally glamorous in a cobalt blue Jenny Packham gown with statement earrings by Indian jeweller Amrapali. See the full gallery: A Royal Adventure: Stunning Pictures From Prince William and Kate's Tour Of India and Bhutan.